Sign up for Broadjam today to follow Bryan Masters, and be notified when they upload new stuff or update their news! Bryan Masters' crooked heart was educated along the two-lane blacktops and dirt roads of Kansas, and his music speaks of small towns, dreams lost and found, and the torments of real love. This is literate, lyrical, rockin' Americana for folks unafraid of potent story-telling and the bittersweet humor of dented hearts. One review accurately described him as "a guy who'd like to see the world in romantic terms if there just wasn't so much evidence to the contrary." 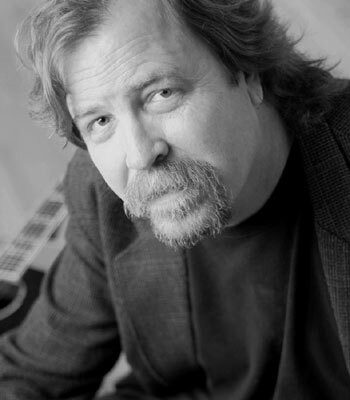 A staple of the Kansas acoustic music scene, Bryan's music has always been difficult to classify … too twangy for the rock clubs, too rockin' for the folk clubs, and too folky for the twang clubs. Nonetheless, his evocative songwriting and emotive performances have gathered a devoted audience of listeners with a penchant for Sunday mornings, rollercoasters, comfort and chaos. Along the way, Bryan has shared the stage with Maria Muldaur, James McMurtry, Robert Earl Keen, Split Lip Rayfield and Dwight Yoakam.